WAFABCO | Compact-Easy to put up & take down! Wapello Inflatable Playspaces are easy put-up and quick to take-down! 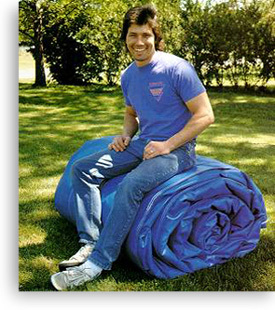 Rolled up dimensions require minimal transportation and storage space. Wapello Blowers are designed expecially for use with all our inflatable pillows and with proper maintenance, will last for many seasons. Contact us today call, or...use our easy contact form!